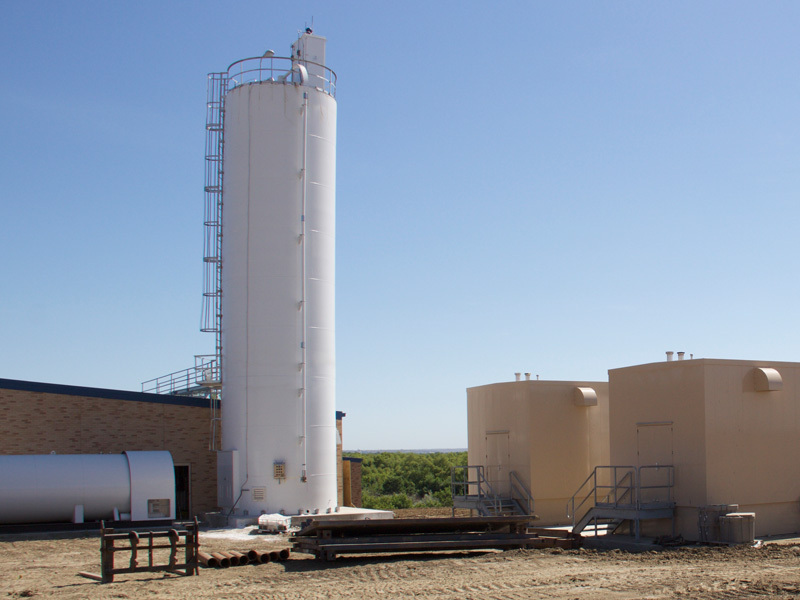 Western North Dakota has been experiencing significant growth due to the oil play in the Bakken development. 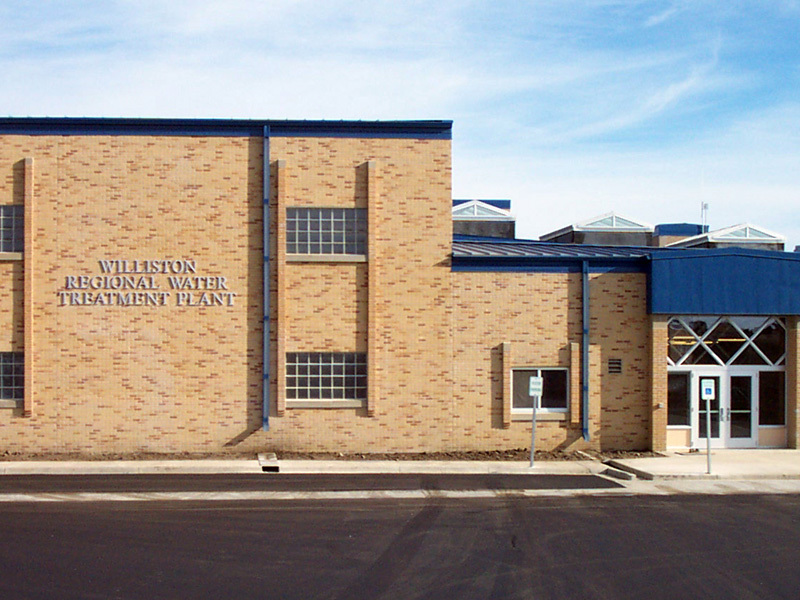 Not only was the City of Williston seeing increased demand for water from the population growth, but had opportunity to provide water to the Western Area Water Supply Project, a new regional water system serving rural residents as well as industrial users. 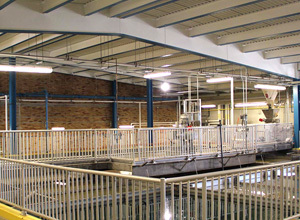 In order to meet the increased demand, the City enlisted AE2S to expand the existing Water Treatment Plant (WTP). 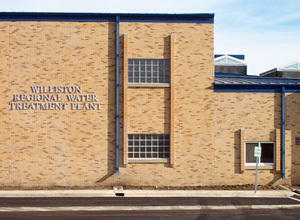 In order to expedite the project and ensure the water demands of Williston and the surrounding communities could be met, the expansion to the Williston WTP is being completed in two phases. 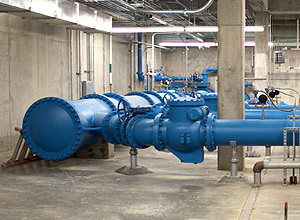 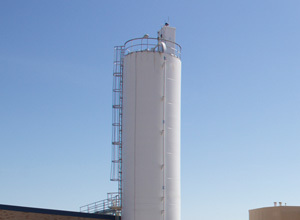 The first phase of the expansion includes miscellaneous improvements to the existing water treatment plant as well as an addition to the existing facility. 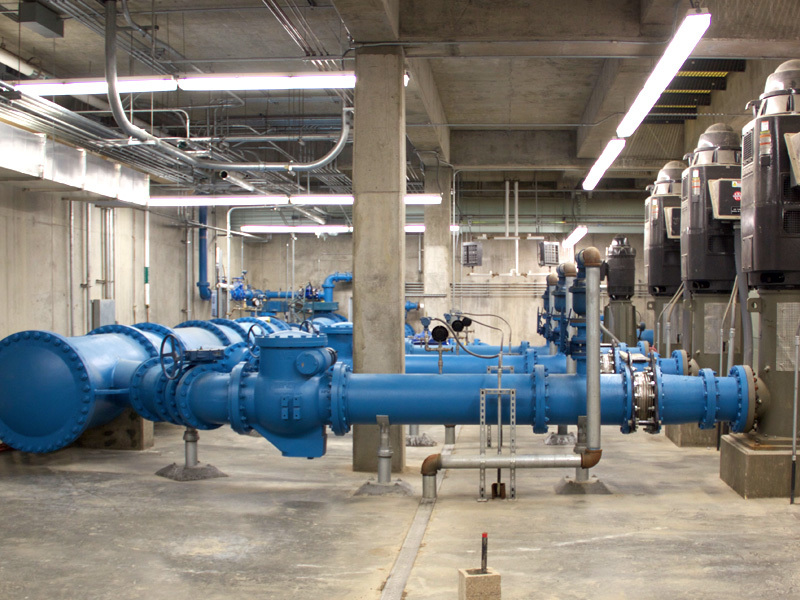 Key water process improvements included in the addition to the existing facility include the construction of a 1 million gallon reinforced concrete clearwell, a reinforced concrete backwash reclamation basin, six new reinforced concrete gravity filters. 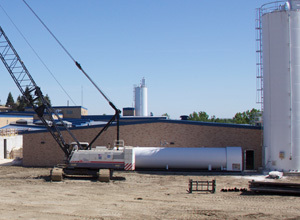 The building addition will be supported on mat foundations and spread footings. 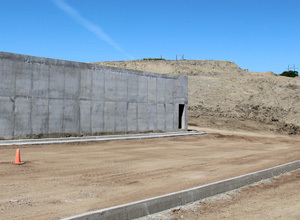 The location of the addition will require some portions of the facility to be approximately 30 feet below site grades. 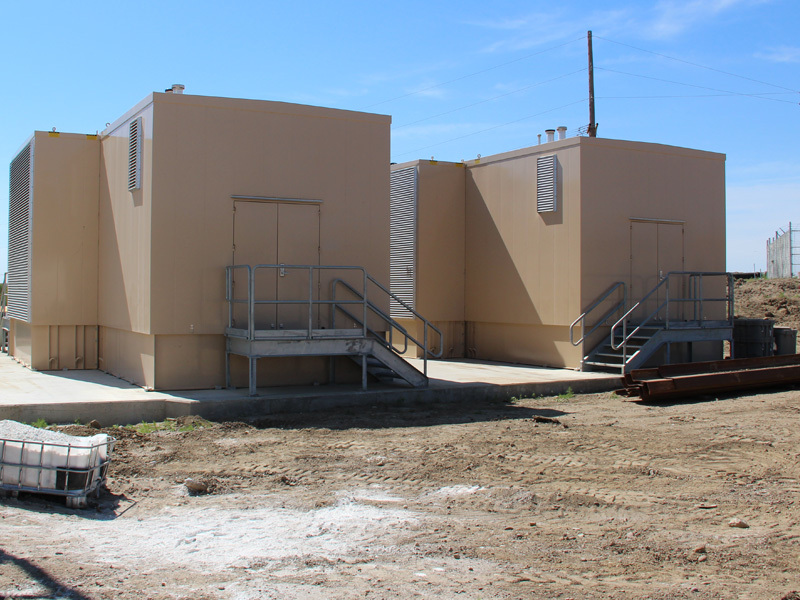 The reinforced concrete foundation walls are designed to resist the large earth pressures associated with building at these depths. 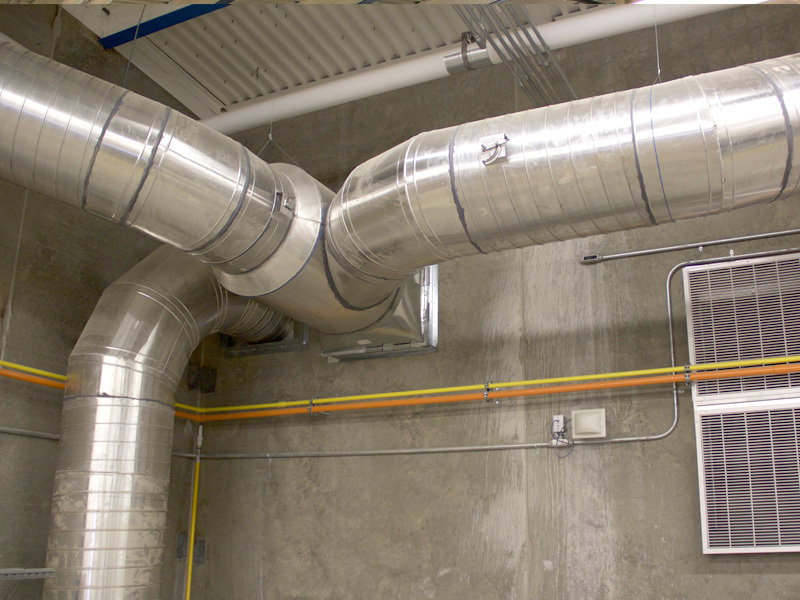 The floor systems throughout the facility will be reinforced concrete structural slabs and concrete slabs-on-grade. 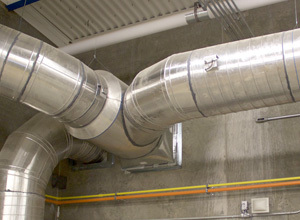 Steel beams and fiberglass grating will be used over pipe galleries to allow access for maintenance in these areas. 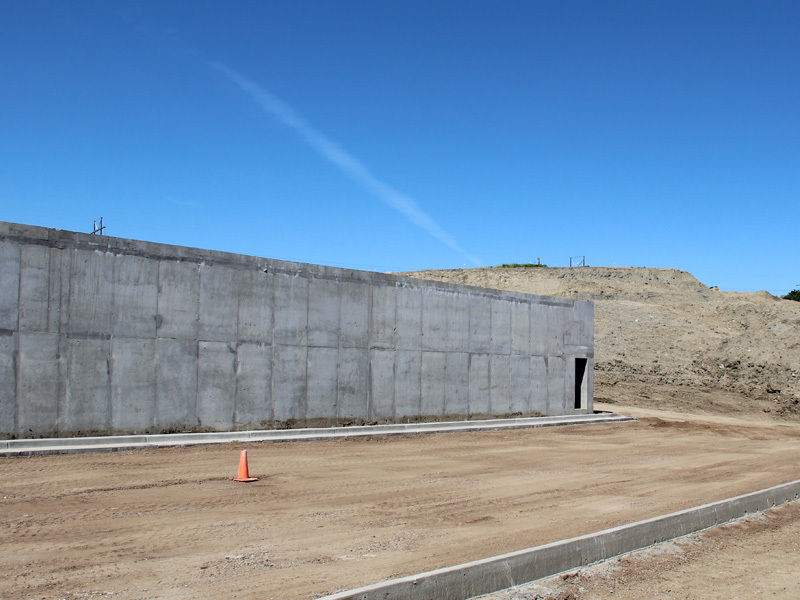 The exterior walls will be load bearing precast concrete wall panels with thin brick veneer to match the existing facility. 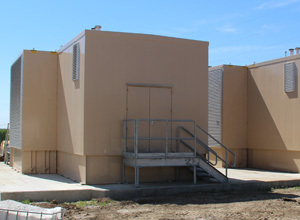 The exterior wall system was selected for durability, speed of erection, and to minimize labor efforts in a region of the state where labor shortages are common. 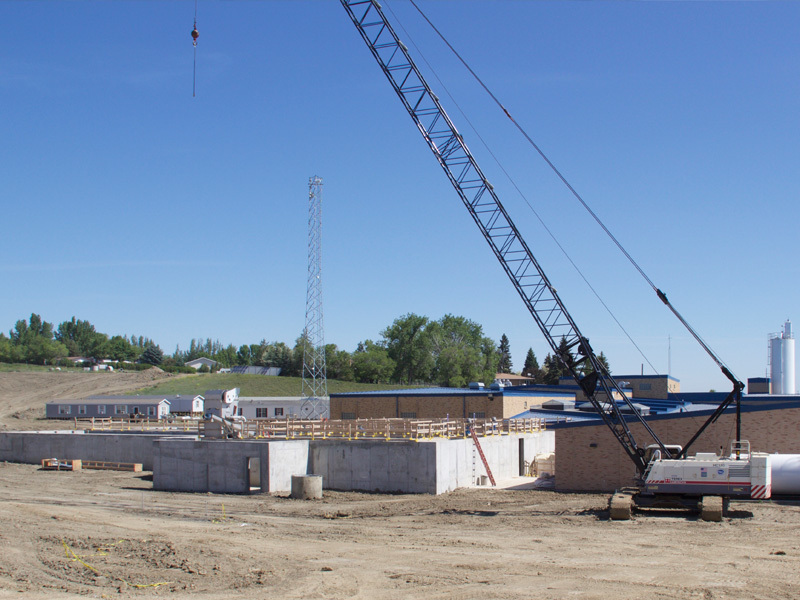 The steel roof structure consisting of steel roof deck and steel beams will be supported on steel columns and the precast concrete wall panels. 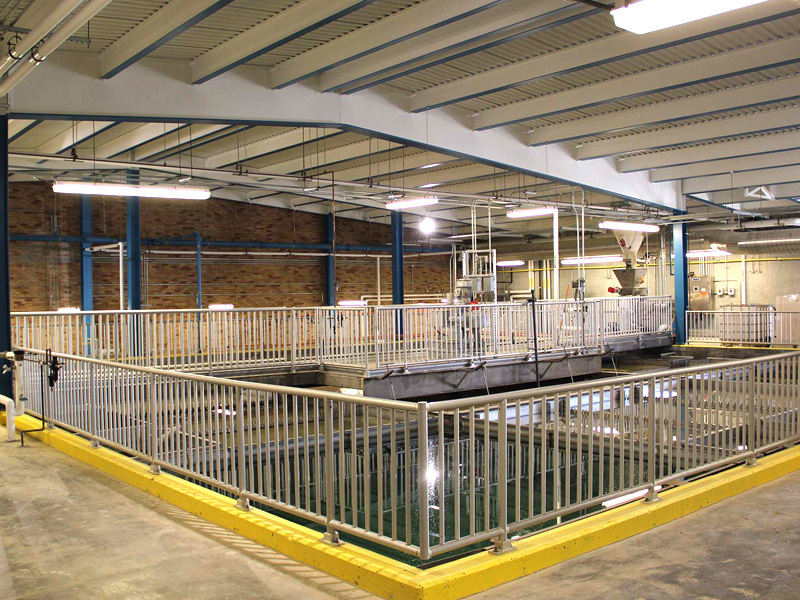 The first phase of this project is currently under construction and design of the second phase is under way. 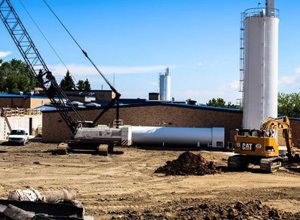 Completion of the first phase will increase the capacity of the WTP from 7 MGD to 14 MGD to meet the immediate needs of the region and completion of the second phase will increase the capacity of the plant to 21 MGD to meet the long term needs of northwest North Dakota.